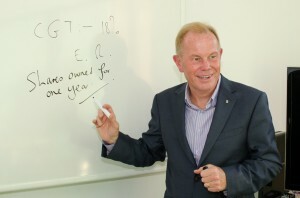 Tim regularly lectures for numerous lecture companies, organisations and Institutes. He regularly lectures all over the UK for SWAT UK, on a wide variety of taxation subjects. He lectures across Scotland for the exciting new Scottish training company, Level Training. He lectures in Belfast and Derry for Chartered Accountants Ireland. Tim also presents a quarterly tax update for Accountants in Practice for SWAT UK, London. He also lectures regularly all over the UK for ACCA UK. Tim also lectures at selected venues for the Mercia Group. Tim also lectures on the All Wales Chartered Accountants Conference in Tenby in April each year. If you would like to book Tim Palmer to present a tax lecture for your company, firm or organisation, please email Tim at…..